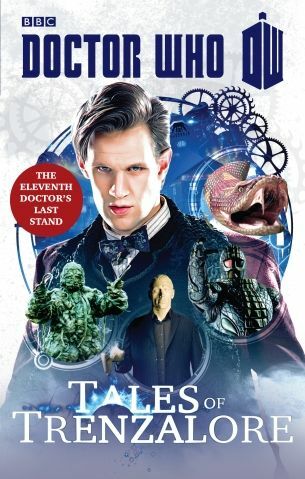 Doctor Who: Tales Of Trenzalore book review. So what was the Doctor doing on Trenzalore for 600 years? No, not answering a torrent of tweets from disgruntled fans about why his last episode was rubbish (good grief, it wasn’t that bad). This ebook exclusive fills in a few gaps. It comprises four stories from four different writers, set at different times during that long last stand of the Eleventh Doctor, as he defended the town of Christmas from allcomers. Sadly, it’s a bit of a missed opportunity, oddly reminiscent of the Third Doctor’s exile on Earth. Then-producer Barry Letts moaned that the UNIT format meant there were only two stories to tell: alien invasion and mad scientist… and there are no mad scientists on Trenzalore. So we get four very similar stories about enemies from the past reaching the planet, and trying to kill the Doctor. They’re efficiently written, action-packed fun, all capturing the Eleventh Doctor’s persona perfectly, but you can’t help wishing there was more to the book. Christmas remains a sketchy place, and you never get to the heart of what it must be to live your whole life with someone like the Doctor as your protector. Where are the dissenting voices? Where’s the sense of impending doom? It’s also odd that the cover reveals all four alien invaders, when part of the fun could have been working out what each one is before the reveal.